Sam and I chose to spend our development days with the brilliant FoodCycle in partnership with MIND for a day of food collecting, cooking and hosting. While researching potential charities, we both realised that we were eager to find a place to volunteer in our communities and this seemed the perfect option. I opted for Islington and Sam for the Hackney FoodCycle hubs. With a straightforward health and safety online test, we were signed up in minutes making it super accessible! The hubs are completely run by volunteers, and you can opt to either, collect the food, prepare the food or host the lunchtime meal. 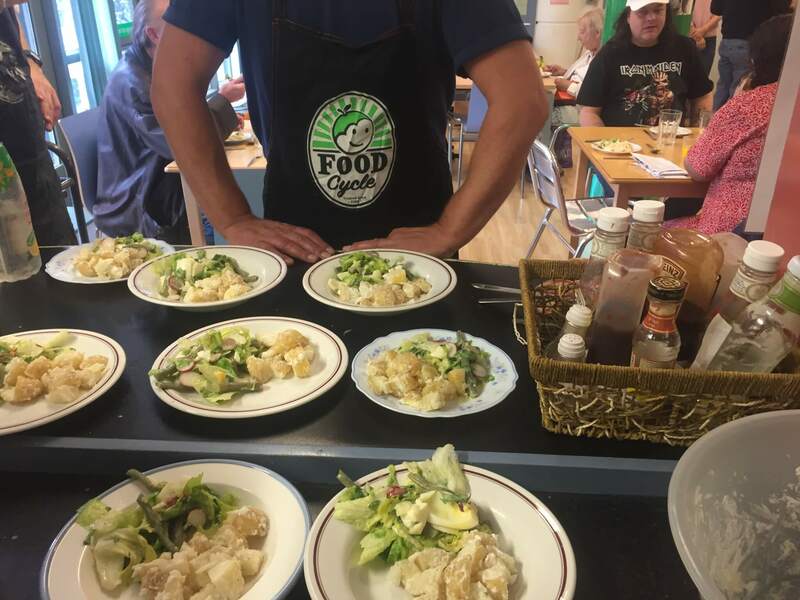 FoodCycle have a simple ethos: they combine surplus food, volunteers and spare kitchen spaces to create nutritious three-course meals for people at risk of food poverty and social isolation. Founded in May 2009, they’ve served over 125,000 meals since then, all cooked by volunteers who rescue good food which would otherwise be thrown away by supermarkets. I had an amazing time with FoodCycle and couldn’t believe the sheer amount of food that we collected from the supermarkets. Not only did we have plenty of food to create a three-course meal for over 40 guests, but we also had a huge selection of dried food and cereal bars and snacks to give to guests to take away. It really drove home the importance of a charity like FoodCycle and taking part in the almost ‘ready steady cook’ style three-course meal prep was a great challenge! 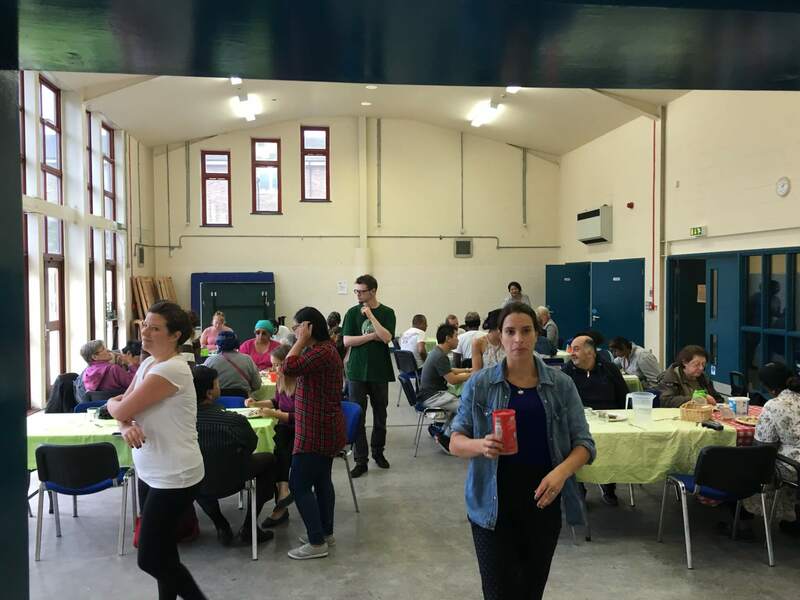 Part of the FoodCycle ethos is to create a sense of community, and that was evident from the regulars that looked forward to seeing each other and the volunteers each week. I saw a genuine excitement from the guests who clearly looked forward to the community meal each week. The highlight of my day was meeting a guest called Patsy, who I had a long conversation with. We sat and chatted and she spoke honestly to me about her struggles and the impact that a place like FoodCycle has on her mental wellbeing. She sang the praises of FoodCycle and explained how she often met friends here and loved the different volunteers to chat to each week. A huge dog fan, she regaled me with tales of her pets and was a pleasure to spend time with. All in all, I’d highly recommend a day with FoodCycle and would return straight away given the chance! I loved the task of seeing what surplus food we had been given and deciding what three-course meal we could make. 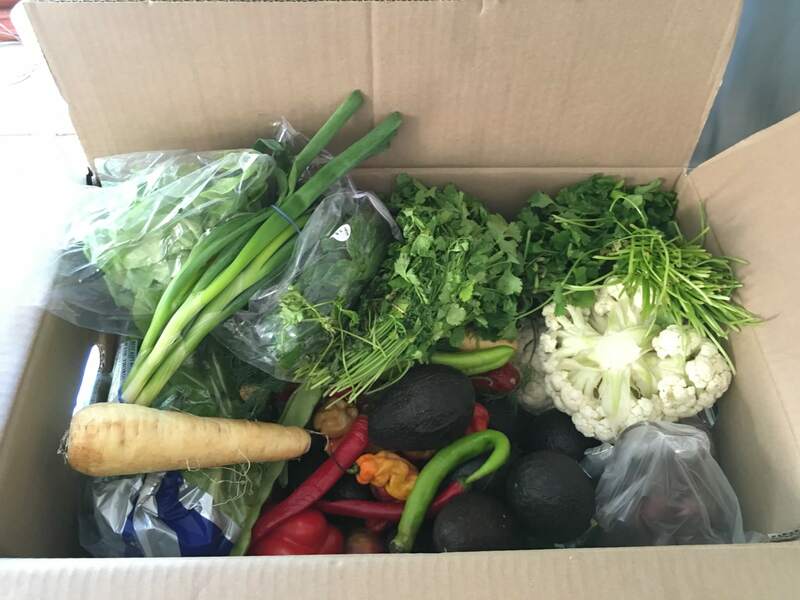 It really goes to show how far a box of vegetables and some dried food can go! As a team, we all gathered around a table and opened up the boxes to see what lay inside. Everyone got very excited about the avocados as this is not a vegetable that often gets donated! We decided on a summer salad (since it was very sunny that day), a vegetable curry and a fruit bread and butter pudding. We all split into teams to create each course, and there was a real sense of community between the volunteers. I opted to be in charge of the vegetable curry. This was a challenge in itself, as I’d never dream of cooking a curry for 40 people before, so this was definitely an experience! The best part of the day, however, was watching all the local community tuck in and enjoy our food after spending hours in the kitchen. When many returned for seconds saying how much they enjoyed it, it was an amazing feeling. This is definitely something I would love to do again, I’d recommend a day (or more!) with FoodCycle to anyone who fancies getting involved in the community and making a real difference!